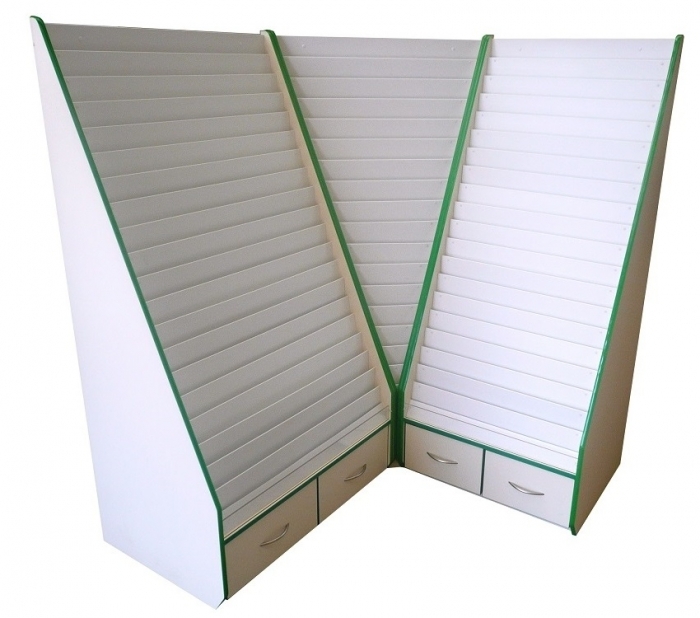 Internal Corner Card Display Stand. The price is for the centre of the image only - price does not include the card units to the left and right of the product image. Made in the UK and delivered fully constructed so there is no struggling to assemble. The price includes delivery (mainland UK) which can usually be achieved within 10 working days of your order. This unit measures 660mm depth and stands 1855mm high. Choose from various finishes, decide on a trim colour all from the drop downs to build your unit.